A message came through at Dare last week that was reinforced on Tuesday by The Writer‘s storytelling event. It’s about the version of your story that you present to the world, and how that compares to your real story or the way you see your story yourself. Karen McGrane, whose brilliant keynote you can watch on the Dare website, believes that insecurity comes from comparing your own behind-the-scenes with other people’s highlight reels. This isn’t new, but social media and the web mean that those highlight reels are much more in your face, wherever you turn. Carefully edited Facebook photo albums, LinkedIn pages that list achievements and and important connections, Klout scores, Twitter followers and retweets… Other people’s success and confidence is all around us, bringing into stark contrast our own failings and weaknesses and mistakes. And then this week, storyteller Nick Hennessey talked at The Writer’s event about ‘front garden stories’ and ‘back garden stories’ in the context of organisations. The way I understood this is that there’s the version of a company’s story that’s presented to the world, through advertising, press releases, brand and so on. This is the front garden story: the way the company wants to be seen and the values and principles it claims to have. Then there’s the ‘real’ story that’s experienced inside the organisation: the values that are actually demonstrated, the way people behave, and the inevitable mistakes and lessons learnt. This is the back garden story – the unedited, authentic, this-is-how-it-is story. I don’t think there was a suggestion that the two stories should be the same, but that there should be an awareness of the gap between the two and what that says about the authenticity of the company. One of the things that I think made Dare different to other conferences was that it allowed – encouraged, even – people to tell their own personal back garden stories. Most industry conferences that I attend have agendas filled with people sharing the secrets of their success, demonstrating their award-winning projects, doling out pearls of wisdom to help others reach the same great heights. The thing is, we all know that we’re usually only getting half the story. Behind the shine, every great success is preceded by failures or mistakes or learning experiences, whatever you want to call them. Every project has its obstacles and backward steps. And every individual has downs as well as ups while working on those projects or doing those great things. We just don’t often talk about those bits. At Dare, those uncomfortable, painful, challenging experiences took centre stage. We listened to people who’d made (or narrowly avoided) bad decisions, had projects that didn’t go to plan, battled depression, or taken great risks that didn’t always pay off. And while there may not have been so many practical, actionable takeaways as you might get from other conferences or events, every single person who attended did seem to find real value in Dare. For me, it’s because the stories were authentic and allowed me to compare my own behind-the-scenes with other people’s behind-the-scenes. There were no highlight reels at Dare – not in the conventional sense, anyway. The highlight reels here mapped psychological or emotional milestones rather than career paths and material achievements. And once the first few brave people shared their back garden stories, everyone else started doing the same. It’s what prompted my last post, and it’s also prompted some very honest discussions that I’ve veered away from in the past. On a personal level, I think it’s very helpful to keep in mind that distinction between behind-the-scenes and the highlights reel – it sounds obvious, but it’s something that’s all too easy to forget. But there’s also an important message in here too for teams or organisations, about how you portray yourself and the way you work. Nick pointed out that, these days, we’re pretty good at spotting a phony, inauthentic story, so that front garden versus back garden question is a good one to keep in mind when telling your own story. This entry was posted in Uncategorized and tagged authenticity, storytelling on October 4, 2013 by Stephanie K.
It’s been many months since I last posted on this blog, and I’m not really sure why. In truth, there are probably many reasons, but I think part of it is a question of self-doubt. I’m not writing this now in search of flattering reassurances – I’m writing it because themes of not knowing, waning self-confidence and feeling like a fraud have been cropping up everywhere I turn lately and so I thought perhaps it was worth sharing my perspective. I don’t think I’m lacking in self-confidence generally. As a child and teenager, yes, I probably was. But since leaving university I’ve become much more comfortable in my own skin and with the kind of person I am. At work, too, after that first year of just getting to grips with working life, I found myself often challenged but generally confident in my abilities and skills. When I joined my current organisation, I knew it would take some time to adjust: it’s a juggernaut of a company compared to my previous employers, a very different environment, my first real in-house role. But, two years on, I still feel like ‘the new girl’. For a long time, I put this down to the size and complexity of the organisation – maybe everyone takes years to settle in. But I look around at colleagues who’ve been here a similar length of time, or less, and they appear settled, confident and at ease in a way that I don’t feel. And recently I’ve come to realise that I don’t just still feel ‘new’; I feel like I’ve lost my confidence. Some of this comes from a good place. I’m lucky to be working in a team that isn’t content with the status quo; we’re trying new things, pushing clients and budgets and partners to do more than they’ve done before, aiming to always be on the leading edge of things. And the edge is an uncomfortable place to be – for me at least. I know it is exciting and very rewarding, but it’s also risky and challenging and daunting. I guess some people – like many of my colleagues – jump off the edge and take control of the lack of control, whereas I’m more likely to be looking back at the gap between the solid ground and me, taking tentative steps rather than that running jump. And, like pulling off a plaster or walking in a straight line blindfolded, that tentative approach is counter-intuitively more painful and more difficult. I’m also really lucky to be working alongside very talented people. I feel like I’m always learning from my colleagues, being inspired by them, and benefiting from their experiences and skills. And that’s great – I love learning and I want to feel like I’m developing and being developed. But the flip side of this is that I very often feel unworthy. That’s a slightly dramatic word, perhaps, but it’s that feeling of being pulled along on a tide of other people rather than leading the way. I look at my colleagues and don’t quite feel like I measure up. And while learning is great, everyone likes to feel they’re the one inspiring other people sometimes, don’t they? The problem is that, despite rationally knowing that some of these feelings of uncertainty are just the reverse view of something very positive, those feelings are still there. I have a very busy mind, I’m naturally anxious and my emotions are always close to the surface. The other problem is that those two good things aren’t the only causes of my loss of confidence. I’m also increasingly feeling that, in order to be successful and to make the impact I want to make, I need to be different from how I am. Some of the changes I’m okay with; they won’t necessarily be easy for me but I consider them development areas and look at them as just improving aspects of myself. But there are other changes that I don’t really want to make. I don’t want to compromise my values or the things I think I do really well, just to fit into a mould defined by other people. So this is something I’m wrangling with a lot at the moment. It’s worth saying that this is not some crippling anxiety. I’m still doing good work on projects, I’m really involved in my immediate team, and I have strong relationships at work and externally in the industry. I don’t feel useless or lost or ineffective; I just don’t feel as confident in my role and the value that I add as I did a few years ago, and I’d like to get that feeling back. This entry was posted in Uncategorized on October 3, 2013 by Stephanie K.
One of my resolutions for 2012 was to take a Find 15 approach to my personal development, and use my blog to record what I did with my 75 minutes each week. 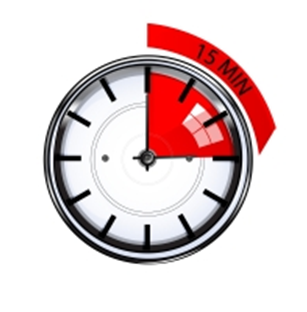 Last week, I mostly used my daily 15 minutes to organise myself so that I can use the 15 minute slots more efficiently in future. Before I share my new approach, let me start by telling you about the fairly inefficient approach to managing my various online sources of inspiration and information that I’ve used up till now. I used Google Reader to collate all the blogs I’ve ever been interested in, and marked anything I wanted to come back to again as ‘unread’. I used Hootsuite (on the computer) and Tweetdeck (on my phone) to help me manage my Twitter feed, with separate columns for mentions, direct messages and any searches or backchannels I was following. If a Tweet included a link to something I wanted to look at later, I emailed it to myself. (I’m not sure why, but I’ve never really got into ‘favouriting’ Tweets.) I also emailed anything else I found online that I was interested in to myself, again marking them as ‘unread’ to keep them near the top of the pile. And I used Evernote to draft and store blog posts. That’s a lot to keep track of, and I decided last week was the week to do something about it. First of all, I tackled Google Reader. I deleted subscriptions to blogs I tend to skim over rather than read or to blogs that haven’t been updated for a very long time. I then sorted the remaining subscriptions into four categories: L&D, presenting, writing/blogging, and entertainment. Finally, I took the time to go through everything I’d marked unread because I had intended to come back to it in more depth: anything that was no longer of relevance or interest, I marked as read; anything that I still wanted to explore, I emailed to my Evernote account. Evernote itself was my next target. I got rid of all the notes that were just one-liners I jotted down, initially blog post ideas but now fairly meaningless for various reasons. Everything that was left got cleaned up into three notebooks (draft posts, ready-to-publish posts, and published posts) and I grouped these three notebooks under the heading ‘Good to Great’. I then added four new notebooks, corresponding to my four Google Reader categories, and grouped these under the heading ‘To read’. Now, whenever I see a Tweet or blog post that I want to come back to later, I email it to one of these four notebooks in Evernote. I also have an Evernote notebook dedicated to recording (very briefly) what I do with my Find 15 slot each day. All in all, I’m trying to make Evernote my personal development centre, rather than having numerous emails-to-self, unread Google Reader articles and open browser tabs. I’m sure this more streamlined approach, as well as having inspiration and reference material in the same place I draft my blogs, will really help me maximise my daily 15 minutes set aside for personal development. This entry was posted in Uncategorized and tagged efficiency, find 15, inspiration, learning on January 16, 2012 by Stephanie K.
Have you done your good deed for the day? As you may or may not know, some of the guys and girls at Saffron Interactive are running a half marathon this weekend. I know that you probably all get requests for sponsorship every other day and we all have to choose the causes that are closest to our hearts, but I wanted to take a moment to raise awareness of what Team Saffron is doing and why. We’re raising money for a fantastic cause, the NSPCC, whose purpose is to end cruelty to children and achieve a society where children are loved, valued and able to fulfil their potential. Every day, thousands of children and adults call ChildLine and the NSPCC, and every pound really does make a difference. 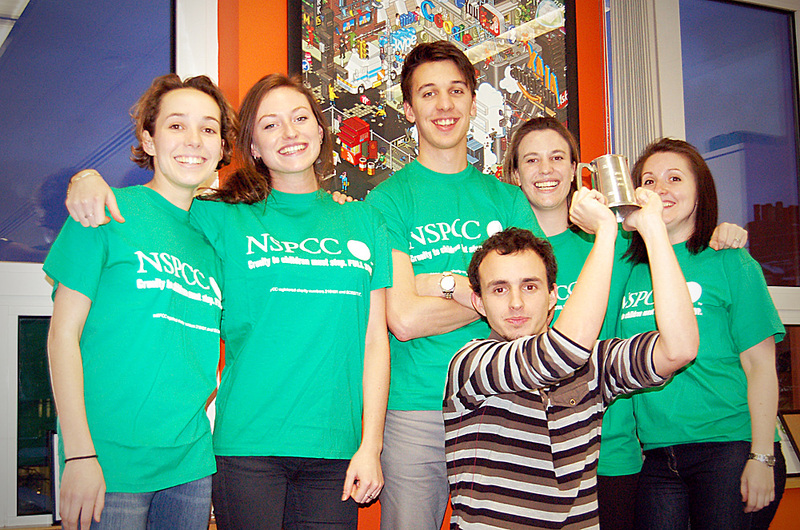 The reason Team Saffron is running for the NSPCC is because it was the chosen charity of our former CEO, Hanif Sazen. We have been overwhelmed by the support received so far, resulting in us exceeding our initial £500 target within the first month. With a week left until the big day, we’d love to hit a new target of £1,000 so any donation, however small, will be hugely appreciated. Even if you can’t support us financially, you can follow the team’s progress and see how they do on our marathon blog. Thanks for your support! This entry was posted in Uncategorized on March 14, 2011 by Stephanie K.
Last week I, like everyone else who knew him, was shocked and deeply saddened by the death of Hanif Sazen, CEO of Saffron Interactive. I worked with Hanif at Saffron for several years and will always be grateful that this was my first experience of the working world. Saffron has always been an exciting and inspirational company. It is also a friendly and fun place to work. In many ways, it’s like a family: lots of former employees are still in touch with each other and with the company. Saffron will always be special to me, and I know I’m not alone in that. All this is due in huge part to Hanif. He was ambitious, innovative and completely committed. He was also generous and supportive of everyone he worked with. Saffron will not be the same without Hanif, but everything he did to create the Saffron family means that the things he worked so hard for will continue to grow and make him proud. This entry was posted in Uncategorized on November 2, 2010 by Stephanie K.
Hopefully you'll find lots of good, thought-provoking stuff on here - please drop me a line to let me know what you think, or follow me on Twitter (@StephanieDedhar) for more bite-sized updates. See you again soon! PS. This is a personal blog, so all thoughts and opinions are my own and don't necessarily represent those of any of my past, present or future employers. Good To Great by Stephanie Dedhar is licensed under a Creative Commons Attribution-NonCommercial-ShareAlike 3.0 Unported License.